BUCYRUS — Crawford County residents are invited to attend a two-day rally in downtown Bucyrus. The goal is to raise awareness of the drug problem. The Hope Over Heroin rally will be on the square Friday and Saturday from 6-9 p.m.
Casey Roelle has been clean for almost two and a half years and she’s eager to share her story. “By the grace of God, there are miraculous changes that have taken place in my life. I can’t wait to share that. God wants us to flourish. You don’t have to live in darkness,” Roelle said. She has been working with the street team getting the word out in the community. Roelle said volunteers have been collecting funds, securing the music equipment, a trailer and a stage for the event. Hot dogs, potato chips and cookies — all donated by local people and businesses — will be served. The Bucyrus Ministerial Fellowship is organizing the event. The BMF is composed of 14 area churches working together for the good of the community. 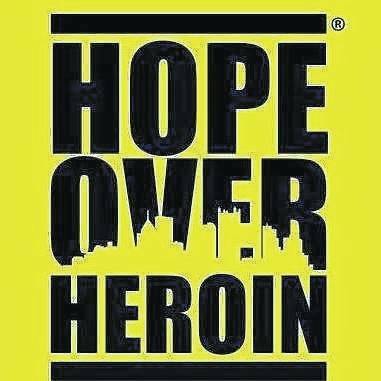 Hope Over Heroin is a ministry founded by pastors in the Cincinnati area who were tired of seeing young people die from addiction. They travel the state bringing their message of hope and recovery. The program includes two nights of live music and speakers who will highlight the drug problem and potential solutions. Before the Friday event a memorial Prayer March will be held to remember those who have been lost to addiction. Families, friends and others who have lost loved ones are invited to participate in the walk. There also will be a “city of resources” set up during the event where people can find help in detoxification, rehabilitation, transitional housing, counseling, church support and other groups helping those struggling with addiction. Organizers think a new course of action is needed in the fight. The group believes “the light of Jesus” is needed to bring help those who are addicted and turn their lives around and escape the grip of addiction. Galion Public Square bandstand, 5:20 p.m.
Crestline United Methodist Church (red doors), 202 N. Thoman St, Crestline, 5 p.m.
A motorcycle stunt show begins at 5 p.m. Friday. The memorial march begins at Randy’s Tire at 6 p.m. and will proceed south on Sandusky Avenue. Music begins at 7 p.m.
‘We’ve had a good response from people who have been in recovery. They want to share that there is hope of getting out of that lifestyle,” Roelle said. The event costs $15,000 and financial assistance is welcome. Monetary donations of any amount are requested by organizers. Any funds that are raised above that amount would be used locally to provide recovery services to those battling addiction. Contributions may be sent to Pastor Mike Corwin, c/o Bucyrus Ministerial Fellowship, Hope Over Heroin, 216 Hopley Ave., Bucyrus, OH 44820.